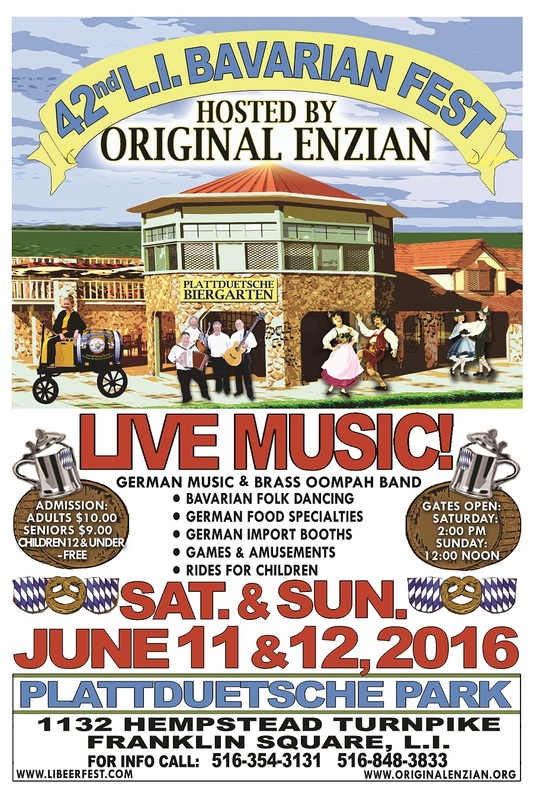 Original Enzian of NY is hosting the 42nd Long Island Bavarian Fest at the Plattduetscher Park on June 11-12, 2016. Live music, Bavarian folk dancing, German food, and plenty of fun for all ages. Take a look at the flyer for more details.